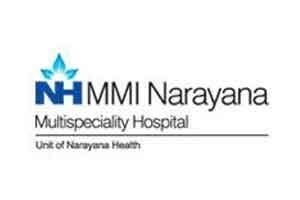 MMI Narayana Multi specialty hospital in Ranchi has successfully performed an open heart surgery using the advanced stent technology of bifurcated stent procedure. A dedicated bifurcated stent procedure, is a new technique introduced three years ago in India. Her angiography report showed that the largest artery of the heart (LAD) was tightly blocked at the bifurcation. Senior cardiologists at the hospital opted for a dedicated bifurcated stent procedure, as they assessed that this technique was useful in this case as the block was at the bifurcated region in the artery. “Considering the patient’s relatively young age, we chose to do the bifurcated stent procedure instead of surgery. It requires a lot of precision and skill,” said cardiologist Dr Sumanta Padhi, as reported by TOI. Explaining the condition, Dr Pandhi said, while performing a traditional bifurcated stent angioplasty in such a situation, doctors usually use something called as two stent technique, which is a complex procedure. A stent is inserted into the main artery and perforated at the side wall of the artery. Then the other stent is put. However, the amount of metal at the point where the branches of the artery intersect is large causing a risk of re-stenosis in the long term. The new technique of dedicated bifurcated stent is relatively useful to treat such blocks as there is no need to perforate and since the total metal mass at the bifurcation region is less, long term complication rate is reduced.